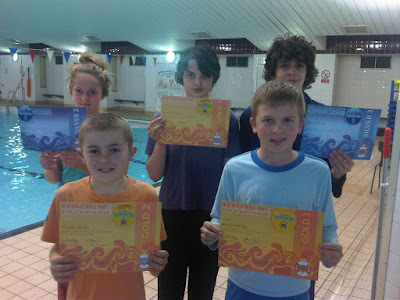 We are saying congratulations and good bye to Armthorpe's first Rookie Lifeguard group, most of these young people have been members of Armthorpe swimming club for many years beginning in the small pool, learning to swim and improve their water skills through our certification programme and finally achieving their Bronze, Silver and Gold Rookie Lifeguard certificates. Some of these young people will be returning in the near future on a voluntary basis giving their help and support to our present and future Rookies. Huge congratulations from Teresa, as well as all the teachers and coaches.